Boli ki ... reciper description tao jodi hyperlink e dao toh bhalo hoye ... tahole pointer jekhanei thakuk, click korle recipe te chole jabe. Cool Site!! 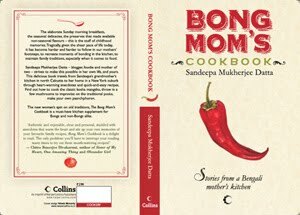 !like to learn more from your recipes..i too have some thoughts that i put forward for Bengali Culture,Kitchen and Cuisine...Though i have not found any comments on my favor...that's ok..But you did truely a superb job...at least me and my Buds in NJ thinks so...keep up the good work. To answer your question: "What is a forgotten food in your family that you would like to bring back?" My family is from N. India but were moved to Fiji by the British. Somehow my mother's mum made Dosas when my mum was a small girl in Fiji. Though my grandmother's parents were from U.P., she seemed to know how to make South Indian Food. Being from the U.S. I learned to make international foods (including Fiji style Indian and Punjabi), but my husband is South Indian. I would love to bring Dosas back to the family...I'm just not sure how to begin yet. Hi, would love if you could update your recipe index, or the dropdown on the sidebar to make it easier to search. FOr example, the dudh maachh doesn't appear in the index. I know I can always google it :) but sometimes we may forget something that we read about a long time back, and don't want to lose the chance of trying it out again. Thanks! hi ami dipanwita aj prothom ami site ta dekhlam r parei fan haye gechi.actually ami khete valobasi but ranna karar dhairja nei,amar bar khete r ranna karte dutoi valo pare.or janno aj ami ekan theke cauliflower roast with kasori methi ranna ta siklam,bes soja saral vasay lekha,parei ranna karte parbo vabchi,ei site ami ekah theke roj parbo r aste aste ranna shike jabo.thanks ,ami jani ei site er author ke,but take bisal thanks amar ranna karar interest grow karar janno. I am a marathi girl recently got married to a bengali who is a total foodie. your site definitely helps. I have one question, recently i made chicken curry and used paanch phoron for TAdka. My bong husband said that paanch phoron is only used to make fish or vegetable. Is it true??? The chicken tasted awesome so i dont knw why i cant use paanch phoron for tadka. Please help. Your bong husband is quiet the cooker :) Yes, it is true that traditionally Paanch Phoron is used for only fish and veggies and not for meat. But my MIL & my husband makes an awesome chicken with paanch phoron(http://www.bongcookbook.com/2009/12/dhone-pata-chicken-to-wrap-up-year.html). I too love it. Sandeepa, I tried lot of recipies from your site. Very intersting and lots of varity. I was looking for something true bong dishes but using oven not stop top. Can you suggest some? Recently I was in Bishnupur. We were served Posta'r Bora in the Govt Lodge at lunch. Though a simple preparation, there is no posting in your menu. Posta to be ground to a paste, mixed with chopped onion and green chilli and very little maida. Press fry with a few drops of oil in nonstick pan to make light brown. Avoid deep fry. Can you please post your kasoori gobi recipe again?When I click on the click it says the page does not exist. Thanks for the Dim er dhoka recipe...khub bhalo laglo ranna kore..